On a recent visit, State Senator Rick Horner met with administrators from NCC and was given a brief tour of the campus to highlight educational opportunities offered. Along the way, he viewed the Electric Line Construction Technology field, new Cosmetology and Advanced Manufacturing buildings, and renovations to the Nash-Rocky Mount Public Schools Early College. 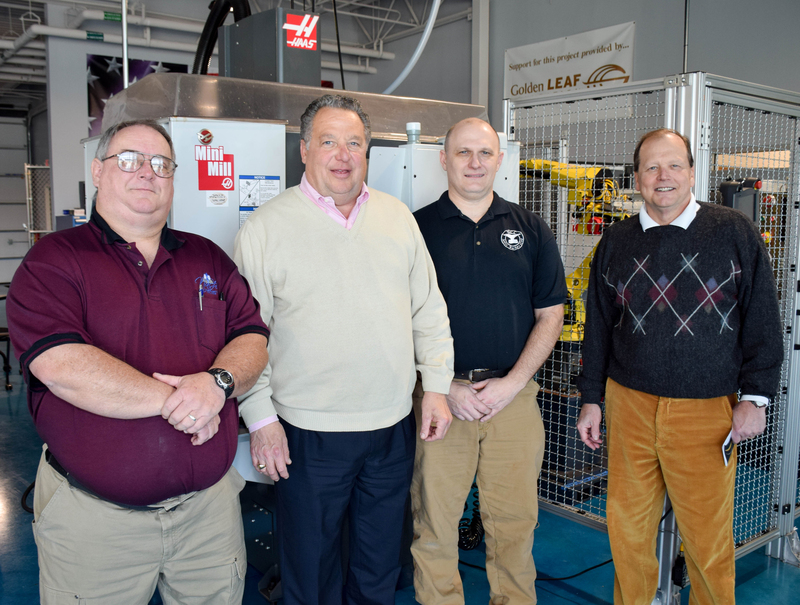 Pictured above from left, NCC Computer-Integrated Machining Instructor George Shook, NC State Senator Rick Horner, NCC Computer-Integrated Machining Instructor Alex Barnhill, and NCC President Dr. Bill Carver. 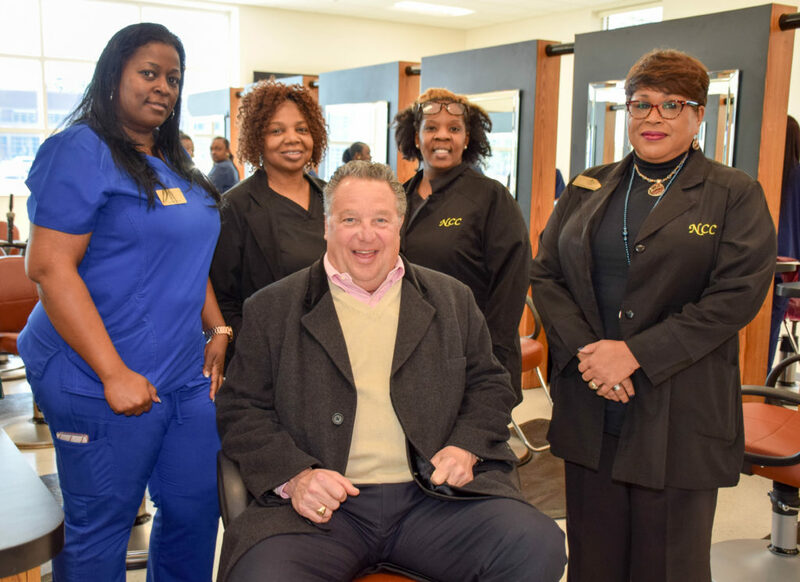 Pictured above from left, Cosmetology Instructor Tameka Sledge, Cosmetology Instructor Gwen Mitchell, NC State Senator Rick Horner, Cosmetology Instructor Shinese Glass, and Cosmetology Director Ernestine Stephenson. 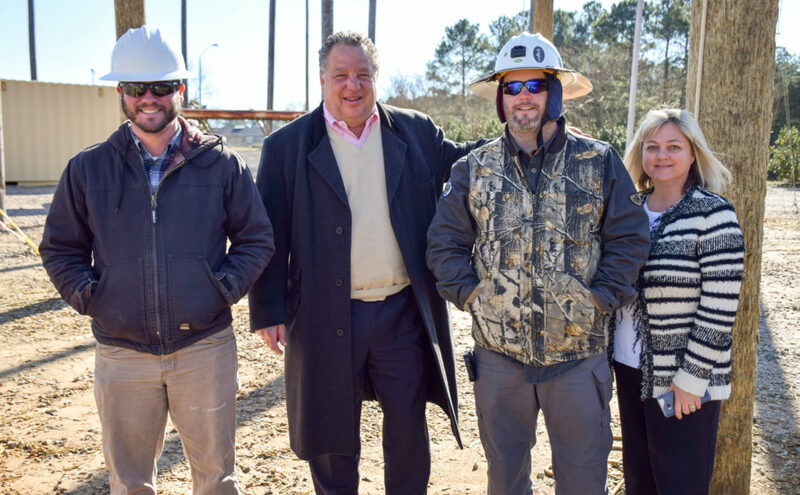 Pictured above from left, Electric Line Construction Technology Instructor Jon O’Boyle, NC State Senator Rick Horner, Electric Line Construction Technology Instructor Brandon Shook, and Vice President, Corporate and Economic Development and Chief Economic Officer Wendy Marlowe.